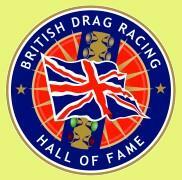 The idea behind this site is to try and chart the history of drag racing in the UK from my own research and with the help of yourselves, the racers and fans who were there at the time. Check the What's New section to see the latest additions to the archives and help complete the picture by sending in details of any events that are not yet mentioned. Read stories from fans and racers in the Anecdotes and Snippets sections, profiles of famous drag racing vehicles in the Historic Vehicle files and competitors in the Hall Of Fame. You can hunt for, or help locate old friends, cars or bikes on the Help Us Find... page. There are also Photo Archives, and links to other drag racing sites and please take a moment to view and sign the Guestbook. The site is updated on a regular basis. Why not add your name to the mailing list and you will receive details in your e mail when the site is updated. You can also keep up to date with any updates via our Facebook page. See the link below. Contributions for any part of the site are always welcome. Enjoy your trip down memory lane and e mail me with more details, or just let me know what you think.- Chris Dossett, Trakbytes Webmaster. Massive UK nostalgia photo site. Essential viewing! "Honouring those that built the sport"